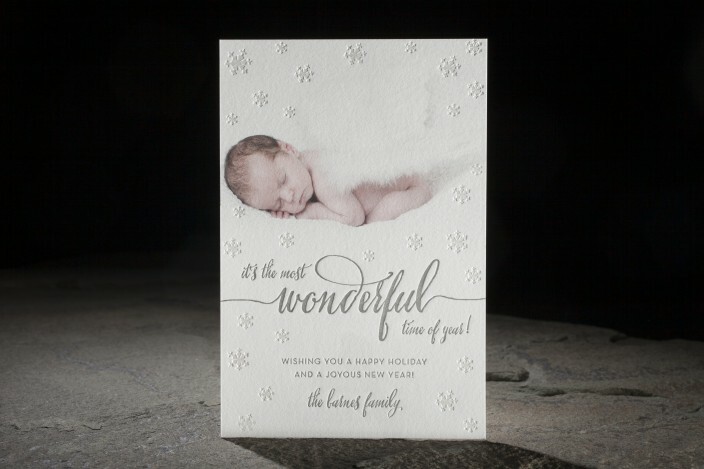 design highlights: digital photo printing paired with silver letterpress + pearl shine foil. stella — an exclusive smock calligraphy font. 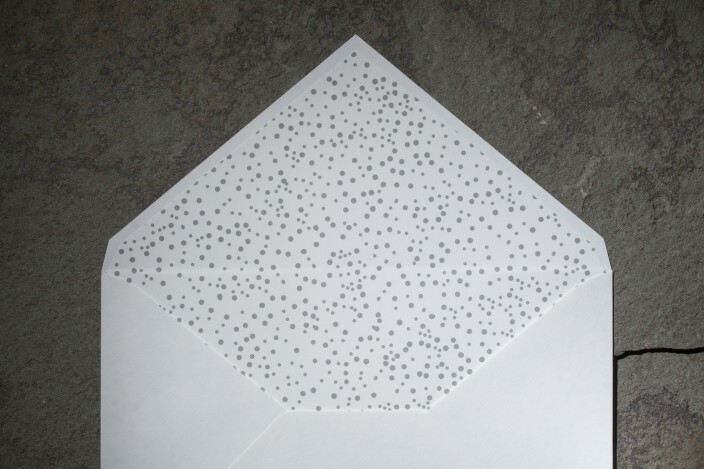 delicate shimmering snowflakes. 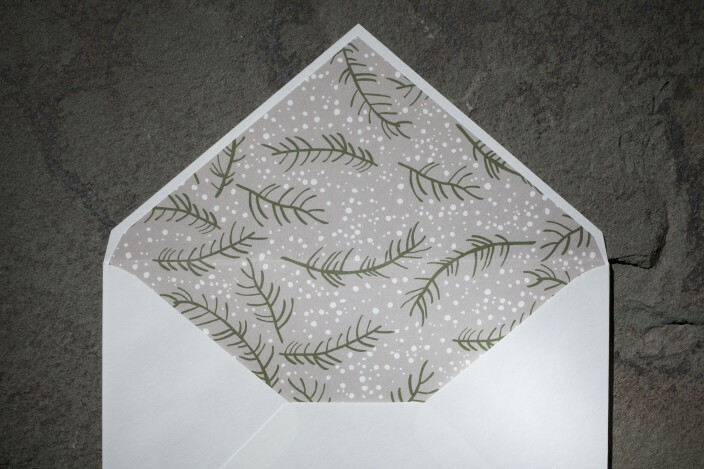 envelope liners pictured: pearl + branch.